learners interact with comes from resources on the internet"
If you have not heard about WebQuests yet, then cool! It's awesome to bring this kind of information to your colleagues for the first time and to be able to be the first one to start implementing a new teaching strategy within your classroom or school. If you *have* heard of them before, but have not yet tried them in your classroom, this page should help. Because, the WebQuest has changed everything that I used to think of when I planned to use the Internet with a group of students. Yes, it's that earthshaking and impressive! And really, I am not exaggerating here! There are so many great sites already dedicated to WebQuests that it can be a little overwhelming! My goal with this page is to just introduce you to the concept, show you where to find some great WebQuest sites and lists, and give you a few pointers on how you can start to use them effectively in your classrooms. Most of the links will be provided within the text, before or after quoted text, or as a list of hot links. Whenever you want to read more about a topic, click on the link for more information, just remember to come on back! There are so many types of learners out there...and that's why the WebQuest is great, it appeals to so many different learning styles. So, I thought that it would be only fitting if you are a DOER rather than a READER to really understand what a WebQuest is, go the the WebQuest About WebQuests for Middle And High School page or the WebQuest About WebQuest for Elementary page and do the activity. This way you can walk your way through what makes a WebQuest a WebQuest yourself, plus learn to evaluate what makes one good and another just mediocre. "an inquiry oriented activity in which most or all of the information used by learners is drawn from the Web. WebQuests are designed to use learners' time well, to focus on using information rather than looking for it, and to support learners' thinking at the levels of analysis, synthesis and evaluation. The model was developed in early 1995 at San Diego State University by Bernie Dodge with Tom March, and was outlined then in Some Thoughts About WebQuests"
The most important thing to realize about WebQuests is that they are product or task oriented, which is great for those of us who are ever striving to make that MSPAP connection. To understand this, one has to think of the WebQuest Taskonomy, or the Taxonomy of Tasks. "The task is the single most important part of a WebQuest. It provides a goal and focus for student energies and it makes concrete the curricular intentions of the designer. 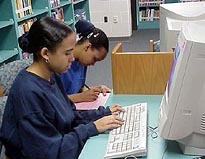 A well designed task is doable and engaging, and elicits thinking in learners that goes beyond rote comprehension"
So basically, students will be producing something, not just going on the Internet and searching or even worse, surfing around aimlessly hoping to find that one gold nugget of pertinent information that they need for a task. All the nuggets have already been found! The WebQuest takes the learner to the exact site where the information can be found and the student has a clear set of directions as to what to do with that information. It is the very fact that the components of the WebQuest have the introduction, research, task, the evaluation *and* ALL the resources built in that makes the work so engaging and meaningful. For more information and as another introduction, read the excellent article written by Tom March that answers the question: Why WebQuests? A clear introductory paragraph which sets the stage for the activity and provides some background information. This paragraph should also engage the student's interest and enthusiasm for the task. A central task that is concrete and interesting. A set of information sources needed to complete the task. All of the knowledge sources, both from online and real world sources, should be given to the students in the form of a WebQuest handout. These pointers to information are vital and ensure that your students are centered on the task at hand. A description of the entire process the students should go through in accomplishing the task. Guidance on how to organize the information acquired. This can take the form of guiding questions, or directions to complete organizational frameworks such as timelines, concept maps, etc., ultimately resulting in the creation of new Web pages to demonstrate their understanding. A conclusion that brings closure to the WebQuest reminds the students about what they've learned, and encourages them to extend the experience into other domains. 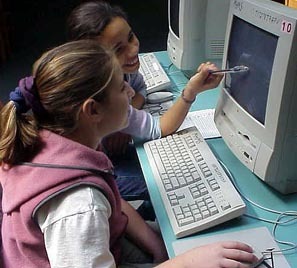 It focuses the learners on a tangible and hi-tech task. It gives them a receptive, sympathetic audience to create for. It opens up the possibility of getting feedback from that distant audience if you include a return email address on the Web material"
The first thing you want to decide is: are you going to make up your own WebQuest or use one already designed and online that fits your lesson? If you want to make your own web site I recommend that you use a Template, after all, why re-invent the wheel, right? 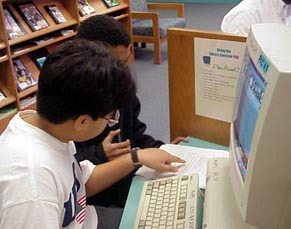 It would also help to do some more research by visiting the WebQuest Training Materials page. And if you want to use WebQuests already online, see below. There are many types of WebQuests, and some better than others. New ones are being created and posted daily. A search of the term WebQuest on AltaVista today yielded 108,150 pages found. Matrix of WebQuest Examples- the ultimate guide to some of the best WebQuests created. Seven Steps for Better Searching- a terrific guide on how to refine, expand, and to tailor your web searches- with an interactive quiz at the end! Why Web Quests? an excellent article by Tom March. The Designing and Creating a WebQuest Workshop - very good! Multicultural and Global Foods - A WebQuest for Middle School Family and Consumer Science Classes - designed by Linda M. Koudelka, Murray Hill Middle School. Excellent! Spanish Restaurant Menu Webquest - 8th grade - Students get to design their own Spanish restaraunt and menu. Very engaging. A web site devoted to areas of science where computer simulations are at the forefront of discovery w/WebQuests! Comic Strip WebQuest - Excellent, with rubric! Iditarod WebQuest - Prepare for the Iditarod Sled Dog race in Alaska. Copyright Law (Music) WebQuest - Copyright Law from the perspective of the composer, arranger, performer, lawyer and educator. Be very clear of your expectations and your time-line for this activity. 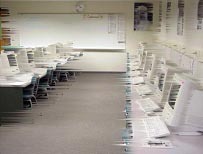 If you do not have Internet Access in your classroom, try to schedule a time when your class may go to the computer lab. 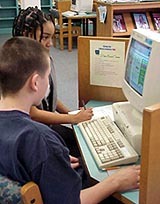 If you only have a few computers available, think of extension or research stations that could be created in the classroom/Media Center to provide background knowledge or further study. Provide Almanacs, Atlases, Encyclopedias and other traditional research sources to enhance, enrich and to complete the learning experience. Make sure that every student knows that they have a particular job/role to perform and a task to complete learning experience. Creating or explaining the WebQuest Rubric/Evaluation tool to the class is very important so that there are no misunderstandings about what each student is expected to learn, acquire, and/or produce. Internet Integration: A Jump Start - from beginners to experts, a lot of resources, search engines, Internet tutorials, easy web design, free email, all about bookmarks, cool sites, and more! Are You Net Savvy? A Directed Internet Task on Netiquette, Internet safety, source evaluation, kids privacy, and misleading banner ads. Learning Works - K-12 Resources, and so much more! National Teacher Training Institute (NTTI)- Includes background information, over 200 math, science and technology infused lesson plans, and an online survey course entitled: "Internet in Action: Web in the Classroom". Lights, Camera, Action! Technology Integration Through Television Production -Created by Dianne P. Wells, Gifted and Talented Resource Teacher, this page introduces and gives excellent links on how to produce a "professional, research based, live daily television broadcast in addition to producing pre-recorded research based news magazine segments and public service announcements"
Get More from the Web -This page chock full of great links to assist the educator in getting more from the web! Constructed by tech guru Doug Fireside, this page is nicely made, frankly and amusingly annotated, and easily navigated. Some of the links are duplicates of the ones on this page, but there is a lot of really great information there. The HyperPowered Curriculum -page was designed for those teachers who use Hyper-Studio and other slide show/presentation software in their classrooms. You can find clip art, scoring rubrics and all sorts of other goodies here. Created by Amado "Sonny" Narvaez, Media Specialist for Montgomery County Public Schools. Really Cool Web Page Using Netscape Navigator Composer: A Tutorial - step by step, easy to understand, informally written tutorial on web design with a lot of screen captures, graphics and straight talk. this page was created with Netscape Composer on a Macintosh G3, baby!